The key to the success of every organization lies in the way they cope up to the challenges they face in managing their IT infrastructure. Data center facilities available with the web hosting providers solve this issue to a large extent. They provide a credible and highly secured environment giving the clients more opportunities to focus on their core business. 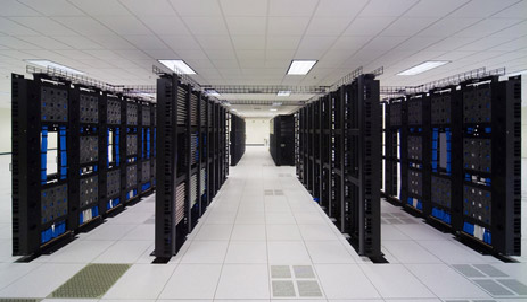 The data centers require a large space and are furnished with different equipment that are crucial for the IT infrastructure of any organization. The clients are assured of zero downtime and secured data storage. Monitoring and maintaining the plant and infrastructure keeping the guidelines and regulations in purview. The computers, servers, routers and other accessories require a steady supply of power or it could affect the performance of the customer’s website. As a backup in case of power failure the data center is equipped with generators, inverters and uninterrupted power systems (UPS) on which the power is diverted in case of power outages. Due to continuous running of the computers and accessories there are possibilities of their facing thermal shutdown. The cooling systems could be in the form of have all the cooling requirements like chilled water units, air distribution and heat removal units and air conditioners. The data center host generally keep themselves ready with solutions for all types of issues that may crop up. As a precautionary measure they have fire fighting equipments, smoke detection apparatus and water leakage detecting devices. Their technical safety teams provide constant monitoring and are prepared for controlling every fire mishap. One of the main worries of every business is safety and security of its data. It is the lifeline of every business. Loss of data can throw the entire website out of gear and leave it spineless. Security at the data center becomes very critical. The host provides high level security against theft, burglary and infrastructure corruption. To safeguard against theft to the expensive infrastructure, security is completed with armed security guards manning the plant round the clock. CCTV cameras, access with biometric cards, identity authentication and man traps are a few safety measures that are implemented. The area is cordoned off with fencing and razor wires. There are multiple benefits that customers get to enjoy while using the data center services from a provider. They get access to sophisticated and branded equipments. The cooling systems, power backup equipments and the computer, servers, routers, modems and security systems cost a lot and the client saves on capital expenditure. They also save on the recurring charges on power consumption which too will be very high. Expenses on security personnel, technical staff etc too has to be considered. Maintenance and monitoring of the server infrastructure is done by the host. The clients just pay a monthly or yearly rental fee for all these services. The clients are assured of constant power supply. Even at times of any unexpected power failure the data center continues to function as the entire infrastructure automatically is transferred to the power backup facilities that are available. The host refills the fuel and other necessities to the equipments. The clients get to enjoy high speed broadband connectivity and also the plant has network connections from multiple net providers. Even if one of the networks encounters some issues, connections are shifted to the other networks ensuring continued website operations. The data center in India too adheres to all the safety regulations meeting the international standards in their services. They give their support to the green environment making use of the renewable resources for power supply and having energy efficient equipments while ensuring there is no pollution in the air from their plant for a better tomorrow.